Once again it is that time of year. Birds singing, bugs buzzing, and wood bats cracking. 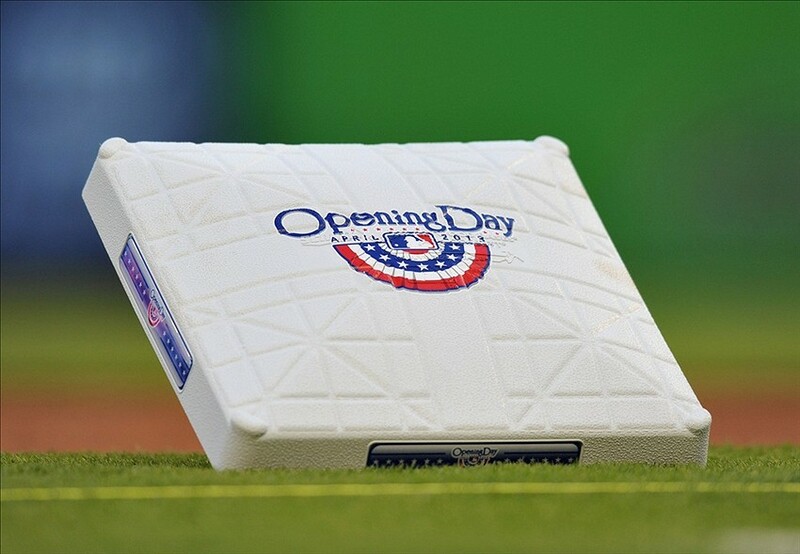 Baseball season is finally upon us and with it comes the sun and warmer temperatures, at least in most places. I feel as though my first post should be one that tells a little about me. Who I am. What I love about baseball. Why my voice is worth paying attention to. I come from a baseball family, erm, well softball family. Growing up I spent a lot of time at softball fields all over the state of Florida watching my Aunt and cousins on their college or travel ball teams. I, unfortunately, never picked up the sport myself, but I did fall in love with watching both softball and baseball. My family hails from the Northeast, where most of them were granted the pleasure of becoming Boston Red Sox fans. Being born and raised in Florida, I had the privilege of being around for the creating of the (then) Florida Marlins. As a baseball fan himself, my dad constantly had the games on, and as I came into my own I started enjoying this ritual with him. When I was 8 years old the Marlins won the World Series, and it sealed the deal on my team of choice for the rest of my life. In 2003, I was a freshman in high school and I got to watch the magic of a post-season push happen all over again. Since that year of exciting young talent coming together to top the best team in the league, I’ve had to watch two fire-sales of the players I loved. All because we were not, or did not want, to be a team that could afford players like Miguel Cabrera and Josh Beckett. The reason I love and follow baseball so closely is because I love the chess match that is every ‘at bat.’ Every pitch, and especially with so much attention being paid to pitch counts, matters and sets up the next pitch. Every pitcher must do his homework on the next lineup they face to know what he can and cannot throw in each situation to each batter. Just like any other sport, the MLB is the cream of the crop, which leaves no room for error. Let’s not forget about the batters. Each hitter must examine the situation at hand and perform accordingly. Are there runners in scoring position with only one out? Do I lay down a bunt and sacrifice myself to move the runner over? It’s a team sport. No game can be won or lost by any one player. Even if the pitcher throws a perfect game, he must rely on his offense to come up with runs to get the win. Baseball is a wonderful game and it pains me to know that its not as popular because its a ‘slow’ game. People won’t watch it because the ball is only in play a fraction of the time. The young talent that the MLB has right now is so exciting, and I hope that those players will at least help boost the popularity in those cities. Bryce Harper, Mike Trout, Jose Fernandez are all young phenoms and will really make the game exciting for so many years to come. So if you ever find yourself sitting at home with nothing to do, and there’s nothing on TV, find your local team’s channel and sit back and really give it a shot. My goal here is to fall in line with the other writers of The Now, but my main focus will be baseball news and opinion. If you like what Charles does for sports, or Jon does for entertainment, hopefully you’ll like the addition of myself to the sports squad. Posted in MLB.Tagged baseball, Baseball season, Boston Red Sox, Florida Marlins, Miami Marlins, MLB, opinion, personal. Next Post What Do The Panthers Do?